As an Investment Advisor, Bill prides himself in providing his clients with a transparent, open line of communication. This philosophy enables him to truly understand each client's individual needs before designing a wealth strategy that will build and protect their assets. Whether you are looking to plan for your retirement, save for your children's education, plan your estate, or transition your business, Bill will work with you to achieve your financial goals. 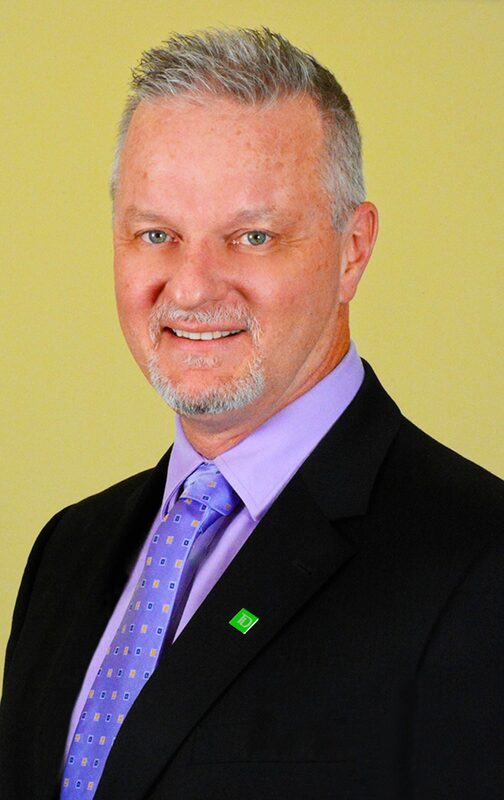 As a member of TD Wealth Managements, Bill has access to a team of specialists that can provide his clients with value added service. Legal issues, taxation, insurance, will and investment analysis are a few of the many additional services offered to Bill's clients through TD Bank Group. Bill places the utmost importance on getting to know his clients well in order to effectively serve their needs. Long term clients of Bill's praise him for the difference he has helped make in their lives through financial planning and strategy. His proactive nature and willingness to share his personal experiences set him apart from others in the industry. Bill lives in Collingwood with his wife Brenda. He has three adult children that live and work across the country.